Featuring a garden, an outdoor pool and mountain views, Casa rural Ardila y Alba is located in Villanueva del Trabuco. It has pool views and free WiFi. Providing access to a terrace, the air-conditioned country house consists of 4 bedrooms. Guests can use the hot tub. A children's playground is also available for guests at the country house. Antequera is 27 miles from Casa rural Ardila y Alba. 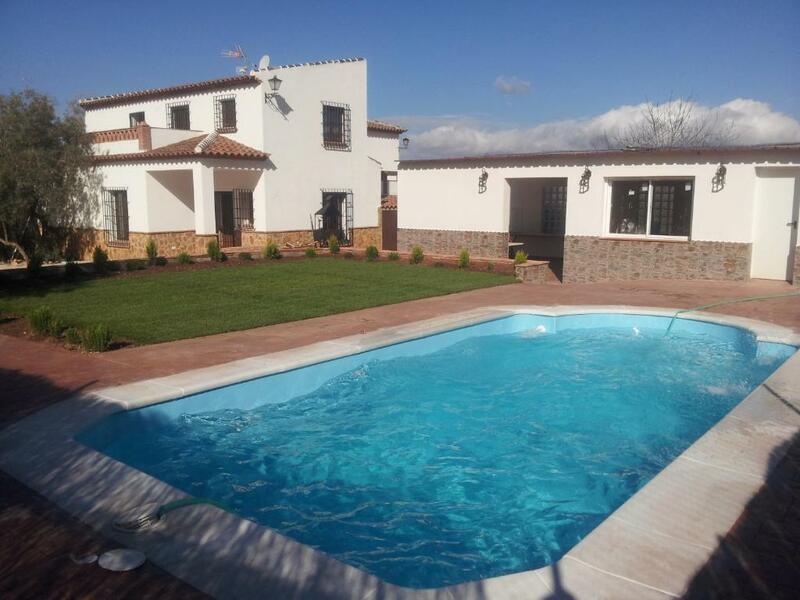 Federico Garcia Lorca Granada-Jaen Airport is 41 miles from the property. When would you like to stay at Casa rural Ardila y Alba? This twin/double room has a garden view, spa bath and air conditioning. House Rules Casa rural Ardila y Alba takes special requests – add in the next step! We need at least 5 reviews before we can calculate a review score. If you book and review your stay, you can help Casa rural Ardila y Alba meet this goal.